In reading about Ryun’s story this week, I was struck by his positive point of view about failure. It reminded me of key lessons I’ve learned over the years through my own experience (yeah, I’ve failed a lot! ), as well as from John Maxwell’s excellent book on the subject, Failing Forward. Tell yourself, “I’m not a failure. I failed at doing something.” There’s a big difference. Fear of failure holds us back from taking risks. We paralyze ourselves, stuck in a state of inaction that leads to resignation and dissatisfaction – a zero life. Instead, we can become our own heroes by learning to redefine failure as opportunities for growth. We can discover our purpose and pursue it with persistence, all the while growing in understanding that even when we fail at a certain goal or task, we aren’t failing as a person. 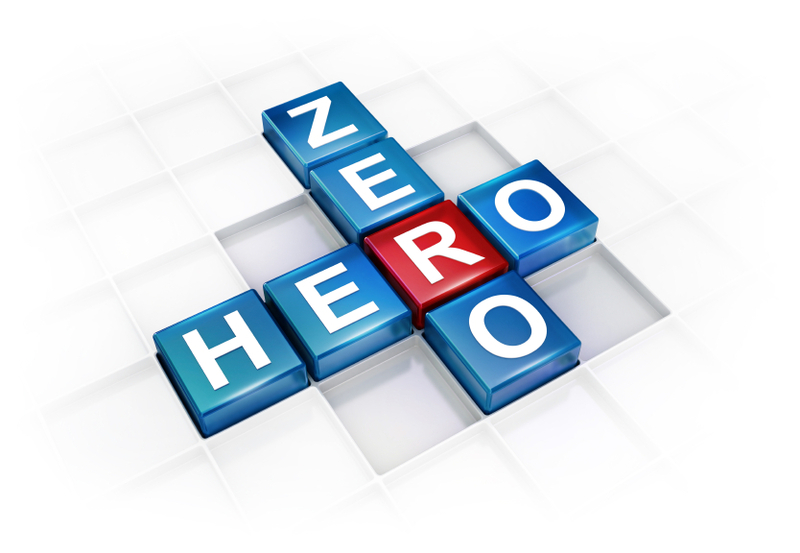 That’s what it means to go from being a zero to a hero – learning to fail forward. Randy- when it comes to sports, kids are often cut for the wrong reasons. Often it’s political, and it’s often not apparent who is actually making the decision. No kid should ever feel like a failure for getting cut from a team, especially when they know they are worthy of a position. I agree Barbara. The same is true in the workplace. Sometimes we are denied promotions or special opportunities for no clear or apparent reason and it’s easy to internalize the disappointment and let it affect our self-worth. Our intrinsic value is not dependent on our worldly success or failure. What an interesting article! Failure is not the end, it’s one of the beginnings. That is a great way to reframe the experience! Thanks for adding to the discussion. What a great article. I have seen too many people dwell in a state of gloom and doom because they failed at something. They may not know how or when to move on. Past failures have been my strengths and motivation for when I approach new challenges or task. Fear is no longer an obstacle. Thanks for sharing. Thanks for taking the time to comment Victoria. You have a great attitude towards failure…keep it up!